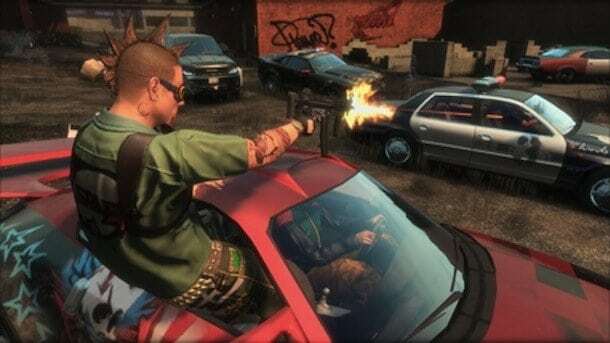 The industrial rock band Dope Stars Inc. have signed an agreement to bring new music to the adrenaline filled MMO, APB Reloaded. Reloaded productions have stated that there will be a total of three tracks added to the game from the bands latest album, UltraWired. Dope Stars Inc. are geek enthusiasts of sorts. The band is well known as fans of technology, gaming, and internet subculture. Their newest album UltraWired references numerous concepts spawned in geek and nerd universe. These concepts range from sci-fi culture and internet memes, to virtual worlds and conspiracy theories. The Managing Director of Reloaded Productions has stated very clearly how important a soundtrack is to this MMORPG. ?We couldn’t be happier to have Dope Stars Inc. contributing tracks to APB Reloaded.? says Michael Boniface. ?We’re constantly updating the game [?] the soundtrack is a big part of the experience. We’ve got big plans for music within the game and having Dope Stars Inc. tracks in there is a phenomenal first step.? The tracks to be added to this racing/RPG hybrid are Lies Irae, No Life Belongs To You and We Are The New Ones. These additional songs are part of an ongoing update and certainly won?t be the last for this highly successful online game.